Chief of Army Staff (COAS) General Qamar Javed Bajwa has termed the opening of Kartarpur corridor a "step towards peace", one that the region needs. "It’s a step towards peace which our region needs," the army chief was quoted as saying by the Pakistani military spokesman Maj Gen Asif Ghafoor on Twitter. "Barbed wire at borders is a measure by a sovereign state to check or deny illegal crossings," General Bajwa said. "Corridors and gates are for legal peaceful visitors. So is the case for all our neighbours." Earlier in the day, Prime Minister Imran Khan laid the foundation stone for the corridor connecting Gurdwara Darbar Sahib in Kartarpur area of Narowal district with Dera Baba Nanak in India's Gurdaspur district. 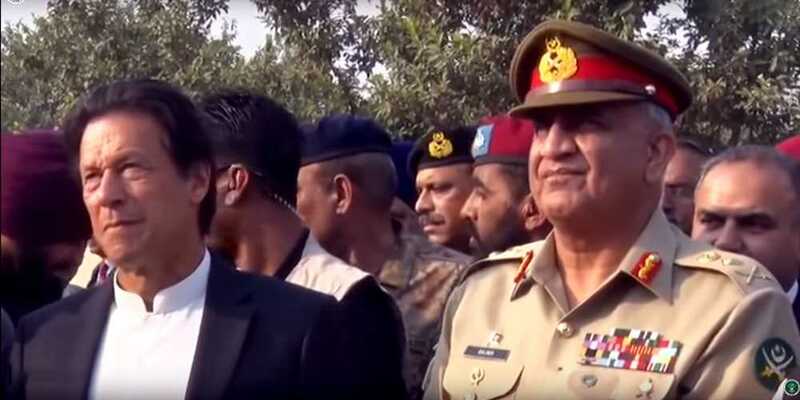 Army Chief General Qamar Javed Bajwa and Foreign Minister Shah Mehmood Qureshi were accompanying the premier as he arrived in Kartarpur. Former Indian cricketer-turned-politician Navjot Singh Sidhu, Minister for Food Harsimrat Kaur Badal and Minister for Housing Hardeep S Puri stood alongside the premier as he laid the foundation stone of the corridor.